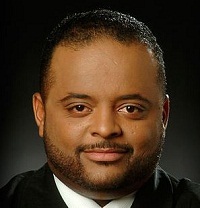 8/29/16- Roland Martin talks to Dr. Jason Johnson about Colin Kaepernick‘s decision to not stand during the National Anthem and the history of the song’s racist history. “There is a third lyric that is often not seen. It’s basically a diss track against African Americans who left slavery and joined the British to fight. Any African American has a right to not stand because it’s essentially a song that forces people to stay oppressed,” Johnson said. Bible Thumpers. Can’t live with em’, can’t kill “em. If you want to see, hear and listen to bat s**t cray-cray up close and personal, go to church. I stand with Colin Kaepernick. Yes indeed. Haven’t stood for the National Anthem since I was 13 yrs old; for the VERY SAME REASON!! Better late than never; WELCOME to the club!! Did you forget about the many black men who fought along side the colonists and gained their freedom that way. Don’t forget the slaves who fought along side their masters and still were not freed. The third verse refers to the hirelings and slaves of G.B. The hirelings were German soldiers called Hessians named after a city that a majority of them were from. The slaves were the British men sent to fight in place of a rich english man or who were indentured servants who had to fight for their owner. This world is completely crazy. Yes master today, but your master wants you to fight/kill other masters. This world needs an enema! Everyone knows Columbus didn’t discover America. You the reason it’s called United States of America not United States of Columbus. Why the public scrutiny on Colin at this very time! To take the attention away from Lochte and get him ready to re-enter as America’s olympic hero! This is not Colin’s first time sitting for the anthem but like a shark, they wait for the right time to prey on their victim! Today Colin tomorrow someone else! End injustice! I will never stand for the massa’s song every again. Thinking about the times I did stand just makes me feel like a fool. T.D. Parris. Always knew the National Anthem was a war song but did not know the history of the song that was explained today. Thanks for the history lesson. White people always critize when blacks don’t fall in line and go along with their hypocrisy. It makes them feel better to always make blacks seem like the bad guy. I struggle is real. You don’t understand what you don’t experience. I really learned something today and I stand with Colin. I support Colin!! When a person puts himself before his job, his endorsements to stand up (or sit down) for what he believes in, I can respect that! I never stand for it either. I always had a problem with that “liberty and justice for all” part. It’s his Constitutional right. He can express any way he wants. Thanks again 4 the humor! …when you know better, you do better! Thank you for such an enlightening. Thank you Dr. Johnson for this history lesson. I actually like the words to the SSB and never knew the whole history especially about the Brits and the freed slaves. This definitely gives me food for thought. It’s going to be hard to hear that song without thinking about it. Yasss! Thank you for this history lesson! I support Colin Kaepernick. Go to his page an support our brother!! He’s stance 4 the people who don’t have a voice!!! I graduated high school in 60s, ran track. I would stand,but not face the flag, not sing the anthem, put right hand in pocket. My white teammates noticed but never said anything. They knew the deal.Most blacks conformed, we never discussed it. Wish I knew what I know now. We must support Colin. A history lesson that I never knew, kudos to him. I stopped standing during the National Anthem when I was still in high school. I refused to stand or to place my hand over my heart!!!! Francis Scott Key was a POS and so it that anthem. I he knows he’s a Hero!!! !